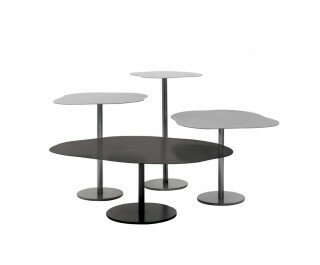 Low tables “puddles’ shaped“ in four sizes. Demountable frame with base, tube Ø 30 mm. Irregularly shaped sheet steel top. Epoxy painted copper black.